Christmas means a lot of different things to different people but there is one group who gets super-excited: the foodies. Here at Food Adventura, we live, breathe and dream food. If you haven’t organised a caterer for your corporate Christmas party, private soiree or family gathering, never fear. Let the Food Adventura team do it all for you. Check out our menus here and give us a call to chat through your needs. Christmas is when we indulge in extra-special food, as well as give and receive foodie gifts. Here’s our list of the ten things we can’t get enough of at this time of year. These ruby-coloured globes bring joy to the food lover’s hearts. Not only are they beautiful to look at – they are in season in December. Buy them by the box load and eat them for breakfast, lunch and dinner. Let the juice run down your chin and breathe in the ultimate scent of summer. An Aussie Christmas wouldn’t be complete without freshly caught and cooked tiger prawns with Marie Rose sauce and buttered baguettes. Whether you’re a British traditionalist who favours tea and cake or a European purist who goes for Panettone with your morning espresso, these seasonal baked goods are a delight. Ideal afternoon tea treats, fruit mince tarts are 100% Christmas. Whether you go for the whole bird, roasted golden and basted with care, or one of the deboned turkey rolls with chestnut stuffing, turkey and gravy are Northern hemisphere dishes that are well-loved downunder. Crack open the good stuff and pour it into crystal glasses. Let the ‘pop’ and ‘ching’ become the soundtrack to your Christmas. 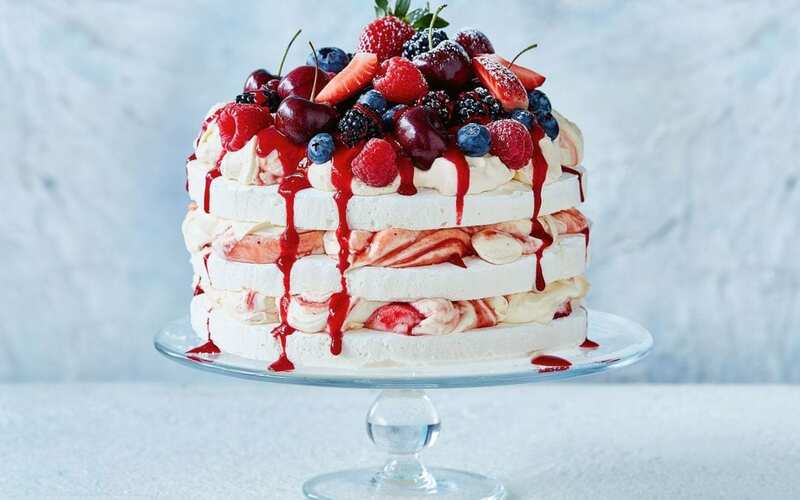 Some people argue it was invented in New Zealand invention but we don’t really care – we just want lots of it, with passionfruit, berries and oodles of whipped cream. 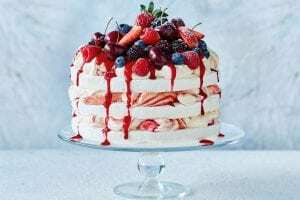 Rarely seen outside of the festive season, trifle is one of those short-term seasonal pleasures because we eat so much of it, we can’t look at it for another year. Whether you go for Spanish style Jamon, or the standard smoked leg ham, the Christmas season is all about ham (followed by a month of more ham). What’s your favourite Christmas food? What do you look forward to all year long?